Robert Ledger has a PhD in political science from Queen Mary University of London. He has worked for the European Stability Initiative, a think-tank in Brussels, lectured at several universities in London and currently lives in Frankfurt am Main. He is a Visiting Researcher (Gastwissenshaftler) in the History Seminar at Goethe University and also teaches at Schiller University Heidelberg and the Frankfurt School of Finance & Management. 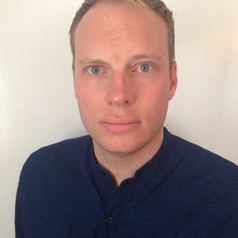 He is the author of Neoliberal Thought and Thatcherism: ‘A Transition From Here to There?’ He is currently working on research that examines the development of liberalism and transatlantic relations during the Cold War, as well as a separate project exploring contemporary EU-American relations.